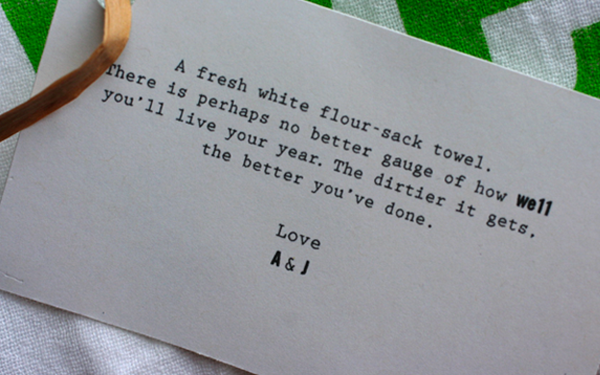 I meant to share the tea towels that Josh and I screenprinted for Christmas gifts. 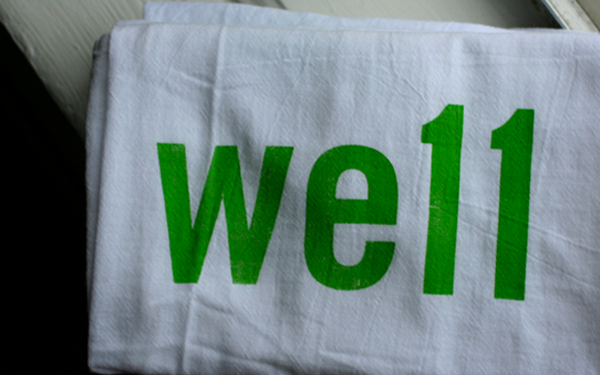 The idea stemmed from Bauman College's motto Eat well, be well. 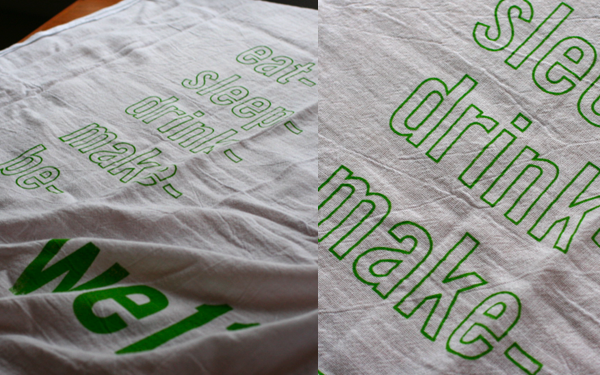 Our take: Eat, sleep, drink, make, and be well. these are awesome, adrienne! happy new year! Aww these can only make you smile. Thanks everyone! It was fun printing them on the floor in our dining room. Wonderful. Makes me smile on this cloudy January day in Amsterdam - where spring is not about to set in for another two months.. Hence, the at-home-cooking-experimenting intensifies! The best advise is right on that t-shirt.